No, the red nose does not mean that this is Rudolph the Reindeer, although it does fly in polar regions from time to time, especially on flights between Stockholm and Californian destinations Oakland and Los Angeles. 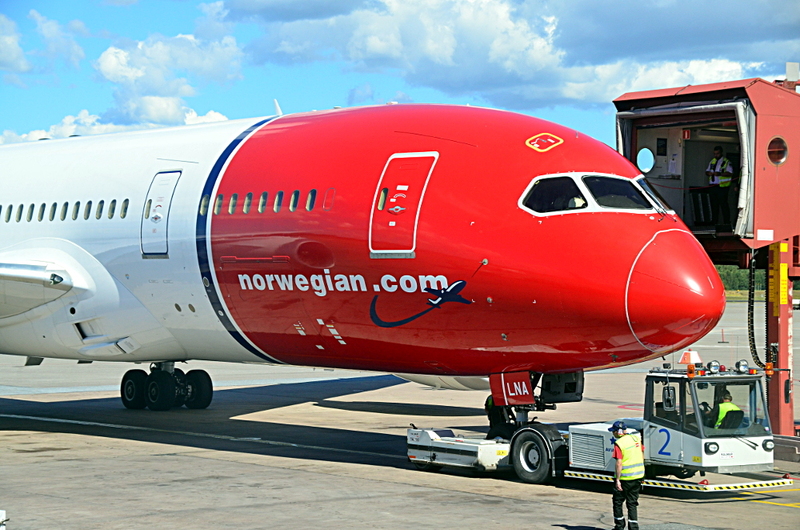 This is LN-LNA, the first Boeing 787-8 Dreamliner delivered to Norwegian’s long-haul division in June 2013, with two Trent 1000 engines. It was originally flying with the registration EI-LNA. In the picture, it is arriving at Stockholm Arlanda’s gate 18 after a flight from the United States.